Today I went to get my haircut on my lunch break and had the pleasure of driving behind this slow poke for a few hours, who even turned into the same shopping center and decided to stop right in front of me to figure out where he was. 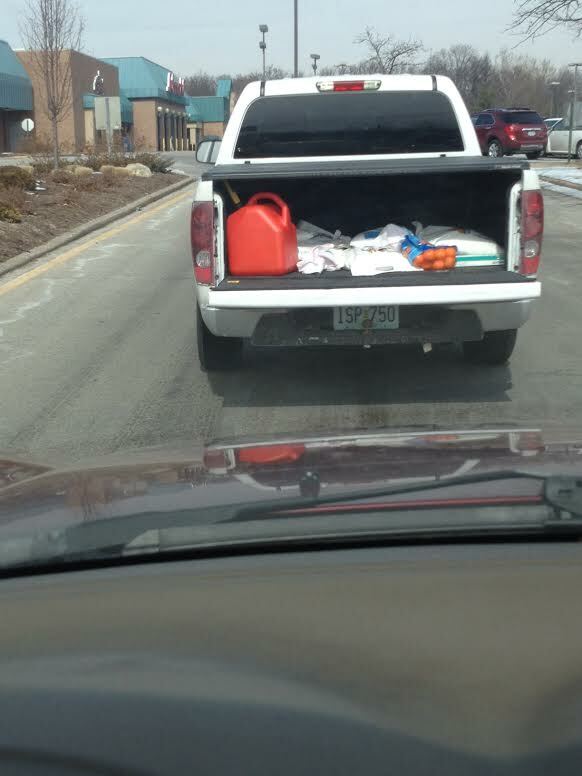 I don’t know if he left the tailgate down or it fell down at some point, allowing his gasoline and tangerines to practically fall out onto the street. BUT…he was driving so slow, they were actually in no danger of falling anywhere. I hate stupid (and slow) drivers! I’m off to Dallas for a 5 day business trip tomorrow – so you can look forward to some BIG sunny pics from Texas!